If you're a federal contractor or subcontractor, the Office of Federal Contract Compliance Programs (OFCCP) mandates compliance with affirmative action and Equal Employment Opportunity (EEO) regulations. These regulations require job distribution outreach to diversity groups, including veterans, individuals with disabilities, minorities, and women, as well as other protected segments of the jobs market. Because penalties for non-compliance can include termination of your federal contracts, and ineligibility for future federal contracts. Fines for non-compliance with OFCCP rules have been as high as $138,000. Non-compliance with OFCCP rules also leaves you more vulnerable to lawsuits by employees and job applicants. To learn more about your obligation, visit the United States Department of Labor . 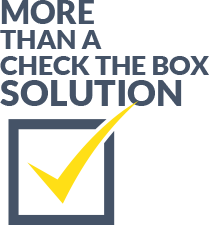 We're more than a check the box solution. Professional Diversity Network's expert compliance and auditing team will provide you with customized services to ensure you meet the OFCCP and EEO regulations. As the leader in diversity job distribution and reporting, we deliver your job to a large, talented population of job seekers. We'll take your business beyond just checking the box; we'll transform your diversity recruitment strategy. 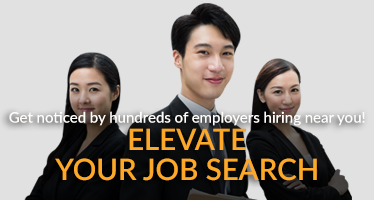 With a recruitment outreach network of over 4,000 partners, we have built an all-in-one job distribution service. We will seamlessly connect to your Applicant Tracking System with our scrape process to get your opportunities in front of the right audience required by the OFCCP. You'll have full access to our propietary compliance tool, Employer Recruitment Intelligence Compliance Assistance (ERICA) for no additional charge. This will give you access to auto-generated reporting whenever you need it. Break it down by Job Activity, Job Application, Distribution, and Recruiter Activity. You'll also receive proof of all postings with archived records for a minimum of 6 months! No worries, we're excited to work closely with you on precisely what you need. 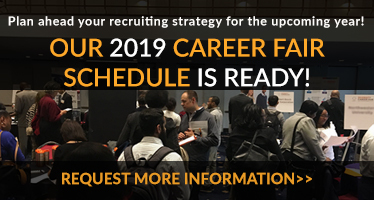 Whether you're only looking to attend networking events, explore advertising solutions, learn more about compliance, and more. We're here to help.